What’s a Belvedere? That was my question of the day. Today I joined my plein air group as we visited Marsh-Billings-Rockefeller National Historical Park in Woodstock, Vermont. Ten of us spread across the Terrace Garden, most choosing to include the central fountain in their work while I moved slightly further afield to sketch ‘The Belvedere’. 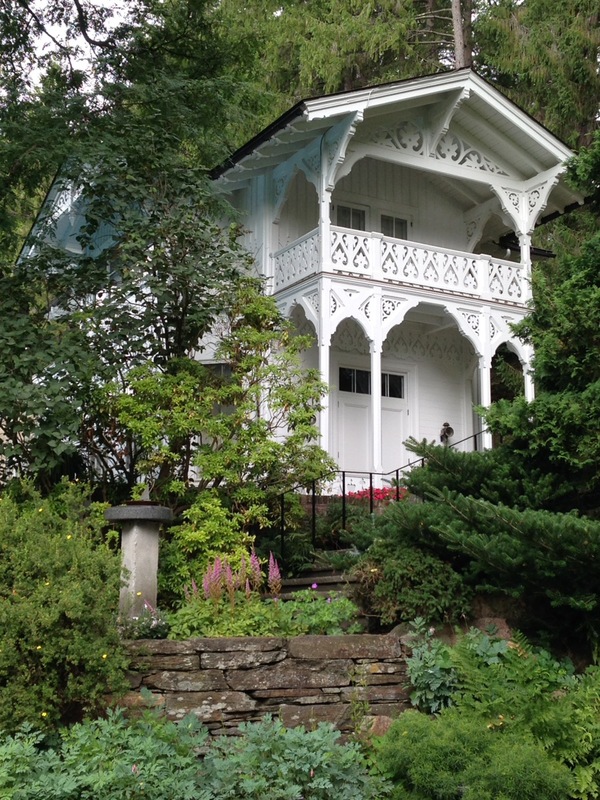 Merriam-Webster defines a belvedere as “a structure (as a cupola or a summerhouse) designed to command a view. It’s from the Italian, literally ‘fair-view’. Bel as in ‘beautiful’… vedere as ‘to view’. It’s definitely that! The summerhouse sits above the garden with a lovely view of the nearby pool and the distant mountains. Each time I sketch in a National Park I make sure to stamp my work with the park’s unique date stamp. It’s a little thing but it just seems to be the perfect ending to the outing. 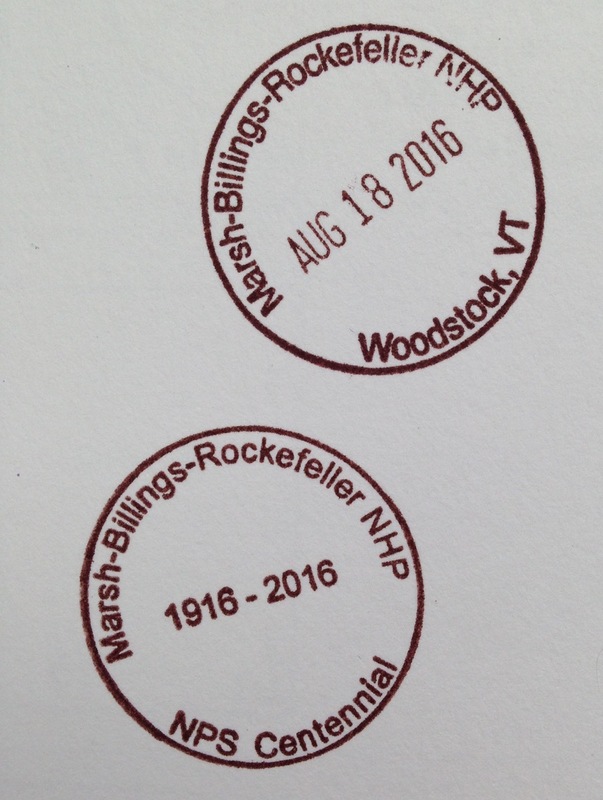 Today I was doubly happy to stamp my book… two stamps! One for the date and the other commemorating the centennial of the National Park Service! The National Park Service turns 100 on August 25, 2016. That’s next Thursday! If you live near ANY location in the National Park System, I hope you will consider visiting to celebrate 100 years of nature, history and beauty. I know I will. I’m planning a visit to Saint-Gaudens National Historic Site! 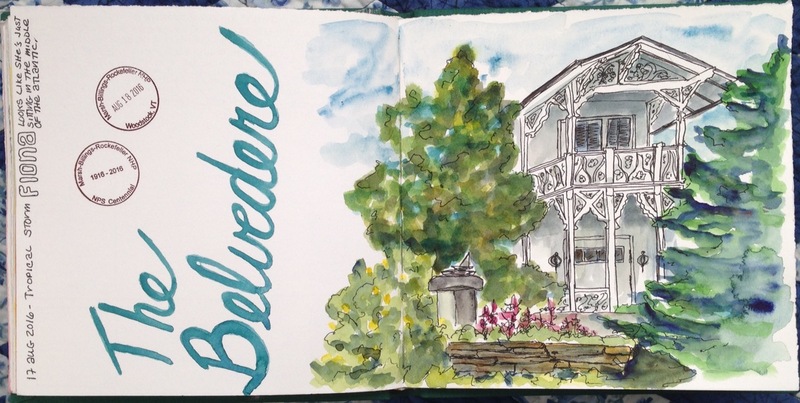 This entry was posted in Ink and Watercolor Wash and tagged Belvedere, Marsh-Billings-Rockefeller, National Park Service, NPS Centennial by Dana Burrell. Bookmark the permalink.